High grade and reliable Viton capable of handling sanitation solutions. 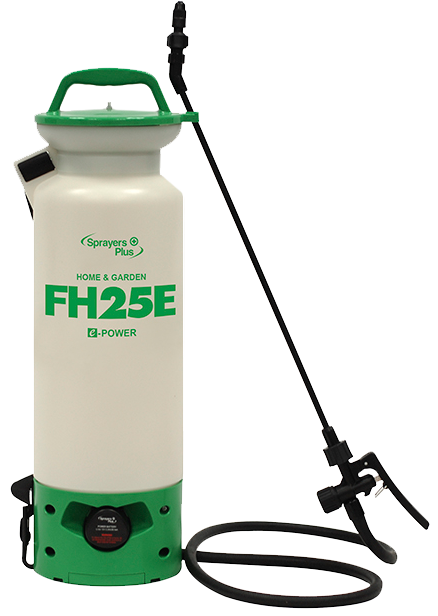 Our sprayers are equipped with a variety of features for any landscape or gardening need. High pressure, battery operated - Pick the sprayer that works for your needs. 15-60 Working PSI providing good pressure while reducing manual pumping. Hand-held or traditional, our line of farming and agricultural sprayers can suit any need. Large gallon capacities for bigger jobs, or small and mobile for precision jobs, choose the sprayer that suits you best! 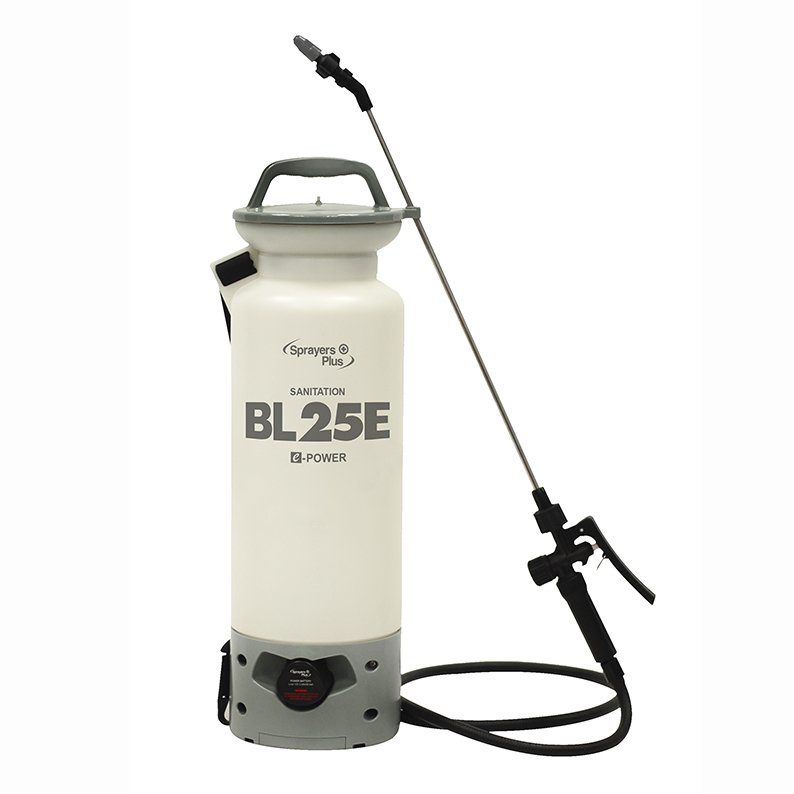 Our top quality sprayers include the BL25E Effortless Hand-Held Sprayer, compatible with a large variety of compounds and cleaning detergents. A battery operated sprayer is a new trend for the sanitation industry, and can stand upright with a heavy base. Find the sprayer with the best features that work for you! 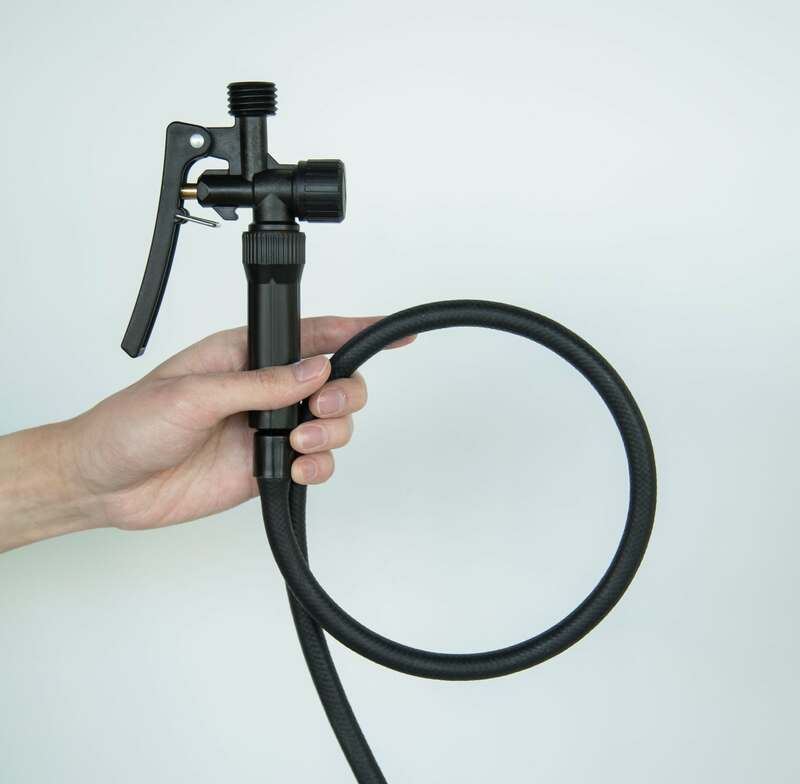 Our construction sprayers are made with the toughest quality materials and techniques, including EPDM construction grade rubber and Viton seals, allowing you to spray safely and more efficiently. Purpose built construction ready components for the job site. Blast the dirt out of any carpet cleaning job with our sprayers. Our sprayers are the best solution for prespray - Pick the sprayer for your particular job and let our products do the rest! Quality hand-crafted precision manufacturing. Superior sprayers created for professionals by professionals. Our QuickFill system reduces spillage and saves you time, allowing you to spend more time working. Our precision inner thread engineering enhances the screwing experience to better serve you! Always a perfect fit, 100% sealed and secure. Our lid is designed to be able to lift a full sprayer tank for a lifetime. All day support & comfort. Our sprayers are equipped with high-density foam straps with good durability, that springs back against any pressure. Adjustment is fast & easy. Buckle & webbing are high quality to enhance adjustment smoothness. Straps with wide designs to spread the load better across your shoulders. High quality fabric ensures the colour doesn’t fade easily! We use up to 50% thicker cylinders than other leading products in the market. We promise a solid foundation free from distortion, alongside a high duration, long lifetime housing. All our sprayers have a high tolerance for accidental drops, and our special UV Inhibitor on the tank will allow for usage under the sun for 3 – 5 years without any cracking. Our unique Sprayers Plus tank design also simplifies the act of putting on and taking off the sprayer! * Tanks per single charge are based on spraying water. Results may vary depending on your usage and contents sprayed. Our high efficiency sprayers make hard work easy. Our Sprayers work harder so you don’t have to! You can look forward to hours of operation with on a single charge, with the PSI always maintained for a constant spraying experience. Spray high, spray far, spray wide! Effortless spraying is at your fingertips. Our Premium Flex Rubber Hose is both flexible and durable. With our Premium Flex technology, we extend the limit of reach and flexibility. In comparison to the regular transitional stiff hose, premium flex rubber hose stays flexible even in cold temperatures, preventing the usual stress on the barb and grip which may cause leakage, damage and detachment. We include a variety of high-grade nozzles with our sprayers, allowing you the flexibility to chose how YOU work. 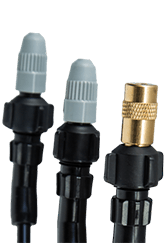 Each of our nozzles are customization for peak performance. All nozzles are NOT made equal – Spray your way, efficiently and effectively. Steam, mist, fan – Your choice! Our sprayers come with a stainless steel frame to provide maximum strength while avoiding rust. All spray-rod models will also come with a stainless steel rod. Acid Sprayers used for the application of solutions such as acid stain, muriatic acid and phosphoric acid is not a regular, general-	purpose sprayer. Bleach Sprayers can be used for sanitization and cleaning purposes and even have a use on some construction and renovation sites. 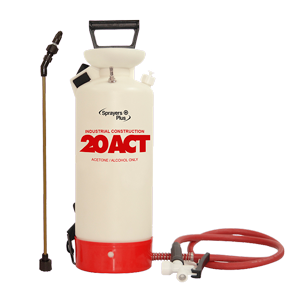 Our Acetone sprayers are designed with the safety of contractors and construction workers in mind and are suitable for acetone spraying jobs of any size. Our foam sprayers are tough enough to consistently spray foam without clogging leaving behind uneven applications of foaming solutions. Search over 800 retailers across USA and Canada to find a Sprayers-Plus retailer near you! Find, browse and buy your replacement parts easily by sprayer model number. Full money back guarantee on all returns.